If you’ve meandered through the gifted world, you’ve most certainly bumped into “2e”. And, as often happens, those of us who’ve taken up residence in this world, presume that everyone knows what 2e is. We presume that we know what 2e is until, of course, we’re asked to explain it and have to slow down and think about it. The short and sweet version: 2e stands for Twice Exceptionality, meaning a person is gifted and has another difference of some sort (learning difference, developmental difference, mental health difference, etc). This variance of ability makes life extraordinarily more complex. Why? Because it’s extraordinarily difficult to identify and quantify. 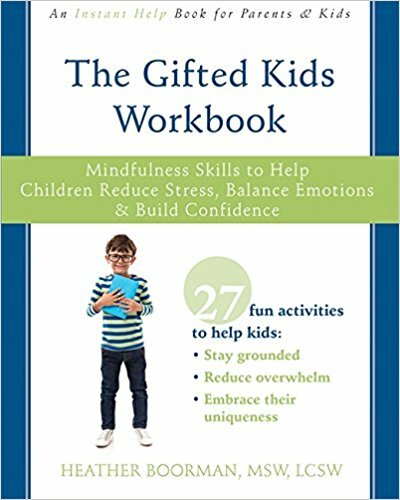 Often a person’s giftedness masks the other differences, or the other differences mask the giftedness, and so they end up appearing fairly typical, while internally they are anything but typical. An added complication exists in that the world of education, mental health, medicine, etc, wants to have a concrete, supposedly objective, assessment. They want a check-marked list, a box, a number from which they can categorically define the person sitting across from them. And so, many professionals try to make these unique beings fit into an explicit, unambiguous box. For example, our KBear had her first neuropsych and was given a diagnosis that simply didn’t fit and an IQ score that was purely ridiculous. Anyone I talked to who actually knew my girl knew that the results weren’t accurate. So, after wasting time and money on that assessment, we, naturally, were hesitant to try it again, but behaviors were amping up and we needed more access to various resources and were told by a trusted provider that this group of neuro-psychologists are skilled with nuances. So we gave it another try. Not only did we receive accurate results with diagnoses and explanations that fit, but the provider opened up her summary with the following statement, “Results of the current evaluation indicate (KBear’s) intellectual functioning cannot be adequately captured in a single score given significant discrepancies across, as well as among, domains.” Hallelujah! I felt like we found the holy grail! A provider who has the assessment tools and skills to provide accurate diagnosing, while simultaneously biting her thumb at the pressure to categorize and reduce our children into a single number. Twice exceptional people personify the gray ambiguity of the world we live in. Often this ambiguity makes people nervous and anxious and fearful, which leads people to want to clarify and quantify and compartmentalize. People frequently feel more comfortable with black-and-white thinking, with all-or-nothing approaches, with clarity and organization. Just think of Thomas the Tank Engine, where the trains were chastised for “causing confusion and delay!” We don’t like ambiguity. So we try to force ambiguous or conflicting things into defined boxes. Weddings are happy . . . not happy, and sad, and anxiety-producing. 2e people force us to let go of the safety of binary, dialectical thinking. They force us to grapple with the uncertain, the uncontained, the indefinable. They challenge us to embrace complexity, and to see the brilliance of living with a both-and mentality as opposed to an either-or safety. So, just what is 2e? It “cannot be adequately captured in a single” definition. Check out other thoughts, perspectives, and amazing writers at the New Gifted Homeschoolers site! Older PostStop Shaming Parents for Having Feelings!